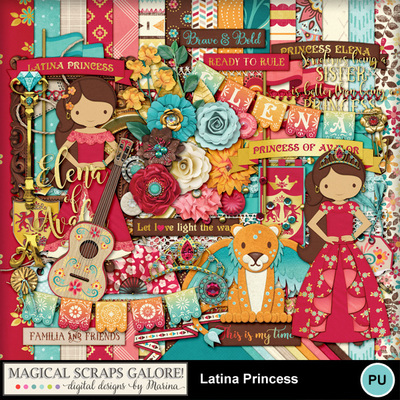 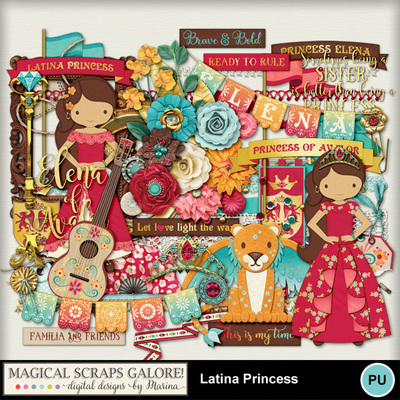 Latina Princess is a magical collection that celebrates the first Latina princess, Elena of Avalor, and the Hispanic culture and traditions. 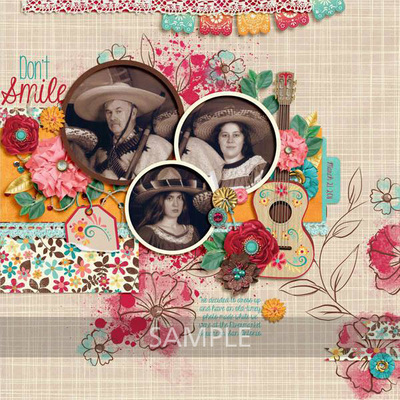 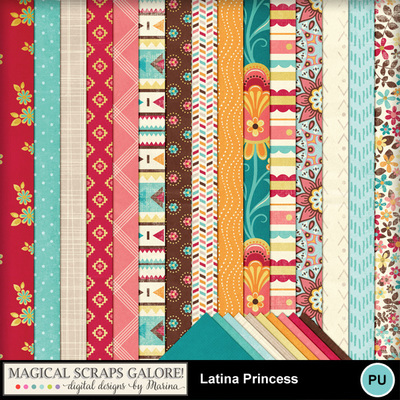 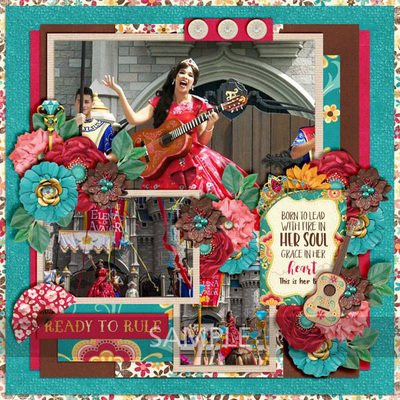 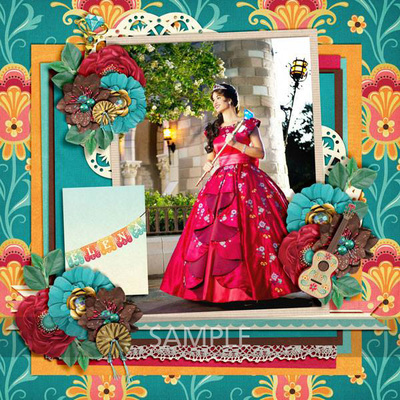 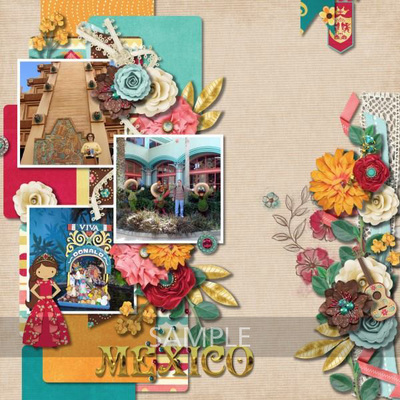 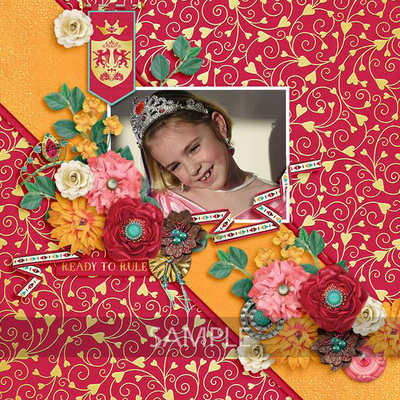 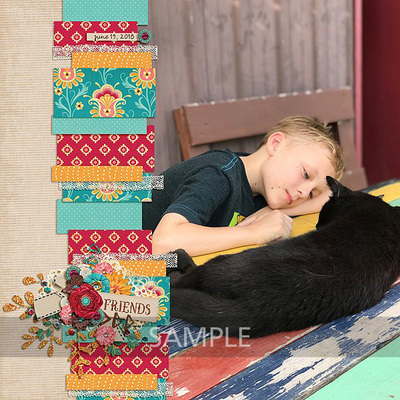 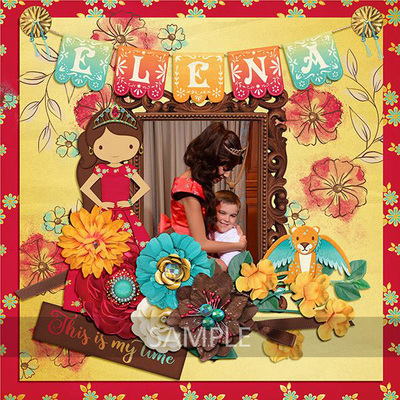 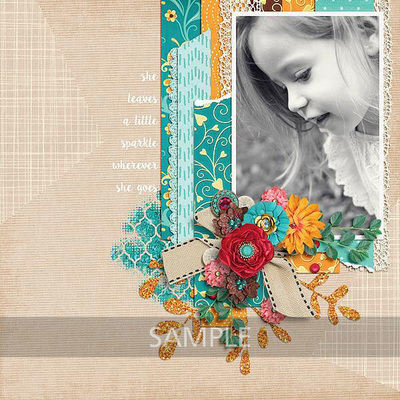 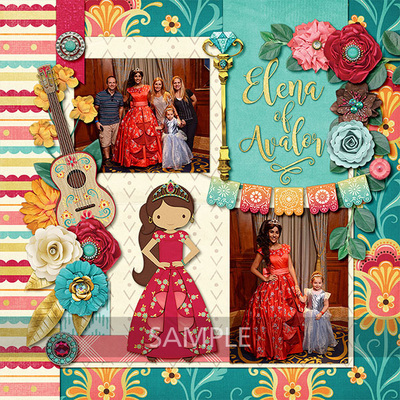 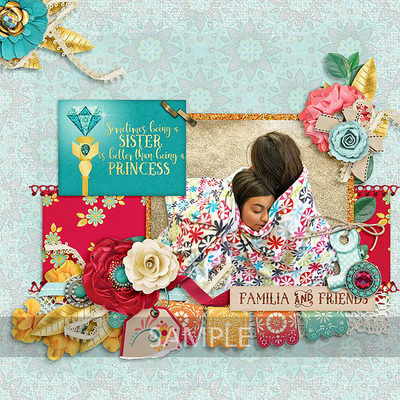 In beautiful bold shades of red, pink, turquoise and gold, this gorgeous design is filled with wonderful patterns and elements such as Elena in two different dresses (adventure and coronation), a guitar, a "jaquin", royal banners, a scepter and a tiara, among many other fabulous goodies and patterns. 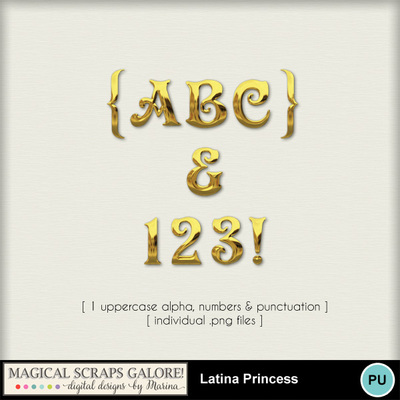 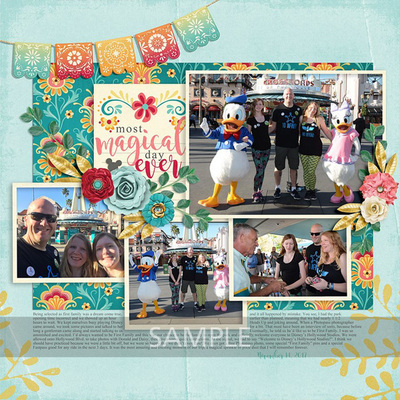 This is the perfect collection for scrapping your magical meet and greets, a Bibbidi Bobbidi appointment, a princess birthday party, and so much more!